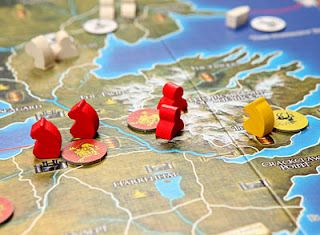 I love the Game of Thrones board game by Fantasy Flight Games. Not only is it set in the world of some of my favourite books, but the actual game design is brilliant. 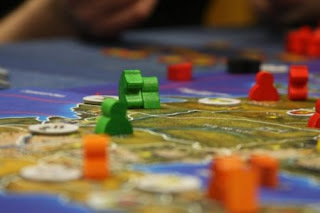 It is fairly simple to learn but the strategy is very complex, and it touches on a number of different gaming mechanisms; resource management, diplomacy, bluffing, combat tactics. The best part? Combat doesn't involve dice; hence, there is very little left to chance in this game. The victor is decided by strategy and player interaction, and of course a little friendly backstabbing. This game is way more exciting than it looks, trust me. It looks like there may be some mass combat coming up in my PBEM D&D game, and I would love to play this out using the combat rules from the AGOT board game. I need to figure out how to adapt the rules of the board game to fit in an RPG context, which creates a few interesting problems. Let me share with you the agonizing conundrums that keep me awake at night. I can't give everyone control of their own army. I will control the enemy/ies, while the players will have to maneuver their troops to defeat them. I suspect I will give each player their own small group of units to control. They can work together for overall strategy, but ultimately each player will decide what their troops will do. Will this cause issues when some of the players don't follow orders, or refuse to go with the plan? God, I hope so. In AGOT, there are really only two units of note in combat: Footmen and Knights. The variables come from how you negotiate with the other players to get them to support you in your attacks. Again, since the players will be on the same side and presumably supporting each other, I think I will have to add a few more units so there is some choice on where and how to use them. I'm thinking light and heavy footmen, pikemen (strong on defence), and light and heavy cavalry. In AGOt, during combat each player plays a "House card," which represents the lord or other personality that is leading their troops. Each card has special bonuses and penalties, but they can also interact with the other player's house card. Because you don't know what the other player is going to play before you choose, it adds yet another level of strategy. Example, if I play X and my opponent plays Y, I win, but if he plays Z, I lose. I could use my best card and win automatically, but then I've blown my best card and can't get it back until all the others are played. See? There are so many options it's painful, but in a good way. Because each group is going to have a leader (the PC), I don't want to use "House" cards per se. I'm thinking I'll call them tactics, and instead of something you can only use once, I'll make them something you can reuse, but will interact with and be heavily dependent on your opponent's card. It's a rock paper scissors sort of thing. Eg, A phalanx beats a charge, a charge beats a flank, and a flank beats a phalanx. How do the PC's abilities affect their troops? The PCs powers, skills and abilities should affect their troops in some way. I think they should be able to use their skills (Diplomacy, Intimidate, Bluff) to rouse/inspire their troops to increase their combat strength. Conversely, if they fail their skill check, it will probably decrease their strength instead. Maybe Nature and Stealth can be used to set ambushes, and Perception/Insight can be used to predict them? 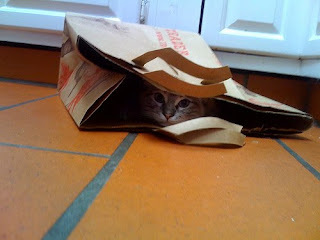 Also: Kitties add a +2 circumstance bonus to surprise. I think they should also get abilities based on their powers/class. The Cavalier/Paladin is obvious, the class already makes mounted characters move faster, so any cavalry units under his command would have increased move speed. 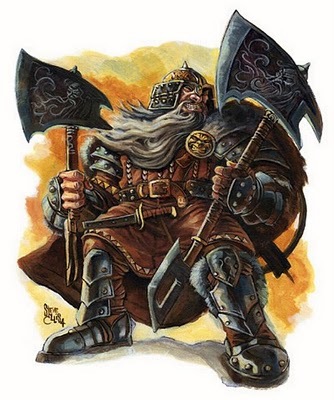 The Cleric would be able to protect units from being destroyed in battle (the "Fortification" icon in the AGOT game). The ranger may be better at setting ambushes, or moving faster/fighting in forested terrain. The warlock and wizard are a bit more difficult - just adding a straight combat strength bonus is boring, I'd like something a more interesting and flavourful. So that's what I have so far. I have no idea if this will work, and there's always a possibility that my players will diffuse the situation before it breaks down into war, so these rules may not be necessary... though I doubt it. PC adventurers are great at causing violence and conflict. It's kind of their job, really. The line between hero and murderous psychopath is very thin, and infinitely flexible. If anyone has any thoughts or opinions on the topic, such as suggestions on how to adapt/use these rules, I would love to hear them. Stories about mass-combat and warfare in your own campaigns, and how they worked or not, would also be appreciated. While not really in the same abstracted vein as your own mass-battle, I too found myself contemplating this question during the end of the last campaign that I ran. My players had taken control of a dwarven delve (and the keep above it), as the party's runepriest had been crowned King. 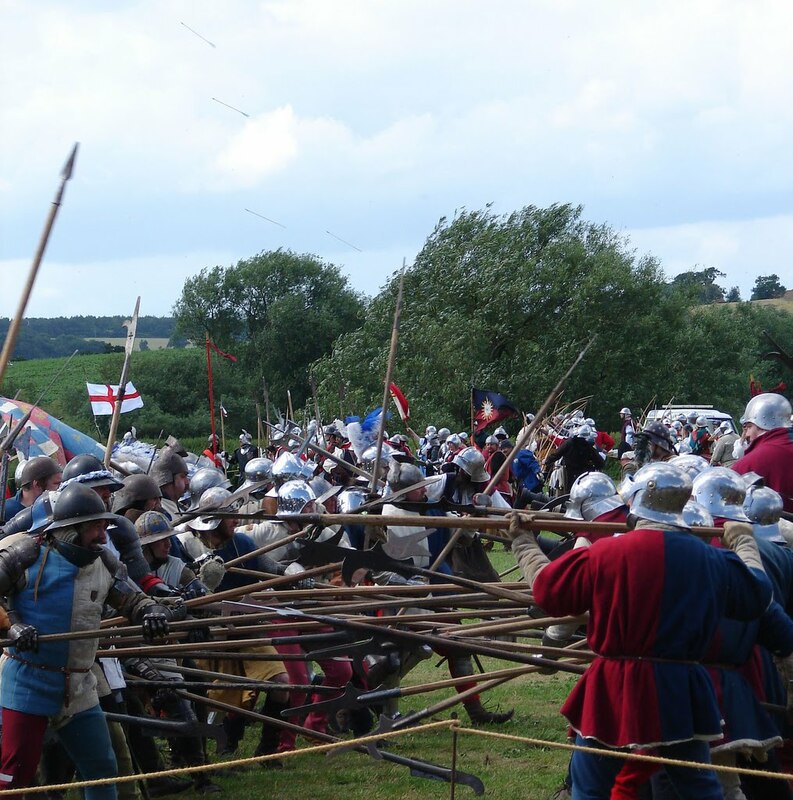 However, with an aberrant horde on their doorstep, they had to prepare for a siege. In planning this, I wanted to keep the tactical elements of D&D intact while providing a unique combat. I had purchased a few sets of the Cardboard Heroes castle and keep sets which, during the session prior to the siege, I literally handed them to my players and said "here, build your castle". For the combat itself, I went with the assumption that each square, rather than being 5'x5', was actually 10'x10'. Hero units (the PCs, major players on the other side) each took up a square to themselves, as they carved bloody swathes through the battlefield. The majority of the field was taken up by "super-minions" that represented a group of warriors. These super-minions could potentially take up to 3 hits before being "taken down", however a strong blow would kill them straight out. I justified this as the mini representing the fighting force. If too many were killed (i.e. too many or too devastating of hits taken), that force would be out of action. During the siege, each player took control of four items: 1) their own PC, 2) one of the NPCs that they had joined up with through the course of the game, 3) a legion of troops (usually thematically based), and 4) a siege weapon. Each player ran through each of those, in those order, on their turn. Surprisingly, it streamed particularly well together--the siege took the entire night, but we got through 7-8 full "rounds" (each representing about half an hour of fighting). Another huge fan of Martin here. I might have to pick up this game; it sounds like a vast improvement on Risk. Anyway, I don't have any advice, as I too am trying to hammer out some mass combat rules for my next session. Good luck! Why not, instead of giving the players new powers based on their class, give them "showcase scenes", where they get to invoke a single power against a target. I know there has to be more strategy to it than that, because most powers require some sort of buildup. But I think the idea of having "cutscenes" in the middle of the mass combat, where actual D&D combat happens, and then "zooming out" to the main battle, using its own set of rules, would work well. Whatever happens in the "cutscene" has some sort of in-game impact on the battle as a whole. I did a post with a talk by George R.R. Martin a while ago if anyone is interested. That sounds absolutely brilliant. I like the idea of having multiple pieces that are run independently by one player (I love having more stuff to do as a player myself). I really love the physical castle play-set, but playing via email won't allow us to do that. Still, perhaps I should let them affect the map in some way, by deciding how their trenches or fortifications are prepared. Very sweet! A Game of Thrones the board game is nothing like Risk. It's like saying that Settlers of Catan is an improvement over Monopoly (I've heard people make that claim). The best way I can describe AGOT is that it's a cross between Diplomacy, chess and poker. With the Starks, Lannisters, Baratheons, Greyjoys and Tyrells thrown in for pure awesomeness. Good luck on your game, too! THAT is quite cool. I've heard suggestions before of playing out mass combat in D&D by giving the players key missions, and the outcome of the greater battle will be determine on whether they succeed or fail in that mission. That works, but it really doesn't have the special feel I'm going for. I never consider combining the two levels. Winning the "cutscene" battles, like defeating an enemy commander or capturing an important waypoint, could either defeat difficult units or give some kind of combat bonus in the larger scale. I love it! I'm totally stealing that. And don't forget there's only 12 days left until the premiere of the HBO miniseries! At least two of my players are tactics-monkeys, so allowing them to create their own fortifications really made for an appealing thing for them. There was actually an interesting disagreement at one point--two of the group wanted to build the smallest towers out in the field, rather on the walls themselves, to serve as "bunkers" in the field. I was actually (secretly, natch--I wouldn't tell them this, being an Evil GM) somewhat in favor of them doing that. I like the idea of bunker-to-bunker, Normandy-style fighting in a fantasy setting, and that would have emulated the feel perfectly. However, they dnded up deciding against in, in favor of a more orthodox defensive approach. Really? I thought you would be the one all for it. I really wanted to add some overhead tactical warfare, and I like the simple elegance of AGOT. We COULD use a modified version of D&D rules with AC and attack rolls and such, but I think abstract is better. And JUST playing "cutscenes" makes it no different then a regular D&D encounter. I wanted something different. I'll be honest, I've yet to read any of Martin's books (although they're lying around here somewhere), and I haven't played the board game, but there are some really neat ideas here. I especially love the "tactics cards" thought. It adds enough depth without over-complicating things. In fact, with 4e, the only way to do mass combat is abstract. 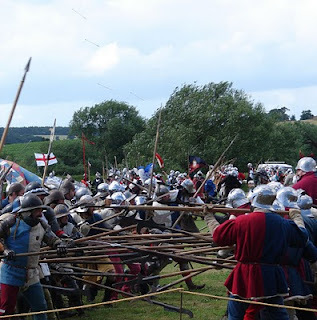 I've had an unfortunate encounter with a messy, over-complicated mass combat scene once upon a time, and it was horrible. The less rolls the better. Heck, do away with combat rolls altogether and you might have something really good. A set army strength with bonuses given for smart planning and a PC's skills would probably add appropriate tactical depth without cluttering things. That said, what happens if someone makes a huge blunder and gets his forces wiped out? Does that mean you end up with a dead PC or something more creative? According to the rules of the original board game, it's actually pretty difficult to have your forces completely wiped out. If you are defeated in battle your troops are "routed" and forced to retreat, which is actually pretty reasonable. 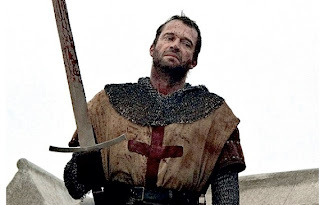 In actual medieval warfare, an attacking army isn't generally going to hunt down and kill every single man - it would be a huge waste of time and resources. Some House Cards/Leaders can destroy defeated units - they're usually highly seasoned veterans or just really vicious bastards. I imagine giving the players in my D&D game a handful of veteran units that have this ability. Also, if you attack routed units before they can regroup, then they are destroyed. Again, I imagine this more to be their morale broken and they all just run back to their farms instead of actually cutting down every single footman on the battlefield. In the board game, defeated leaders are actually captured, and can be rescued or ransomed. In D&D, I think being defeated in mass combat would be a perfect time to switch to one of those cut scenes: The player can actually surrender, or try to fight their way out. Or perhaps they get captured and have to fight their way out later. Okay, Jsalvatori had almost talked me out of it, but screw him. :-) I'm getting excited just typing about this.